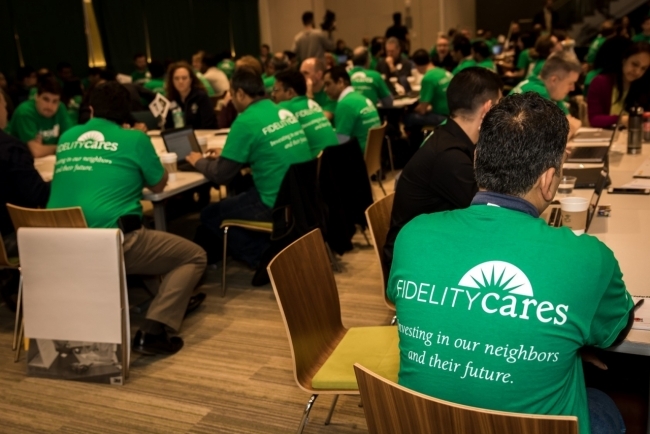 Fidelity Investments is in the middle of its global Tech Impact Week, when more than 600 employees lend over 4,900 hours of service nonprofits around the world. In New Jersey, Fidelity is working with several nonprofit organizations. Covenant House, for instance, will tap into these technologists’ skills and experience to help them develop a grants management database. By doing so, they will be able to satisfy reporting requirements and track applications, expenditures, and outcomes more efficiently. These efforts are part of Fidelity Investments’ global Tech Impact Week from March 5-13 when more than 600 employees lend over 4,900 hours of service valued at nearly $600,000 to over 75 nonprofits around the world. Fidelity is collaborating with Common Impact, a nonprofit that works to create transformational change through skills-based volunteering.